I know this may not seem design related but the truth is, there just isn't enough apartment space for full size gym equipment and trying to work it into your decor can be a little tricky. After giving up on going to the gym (I'm pretty lazy!) 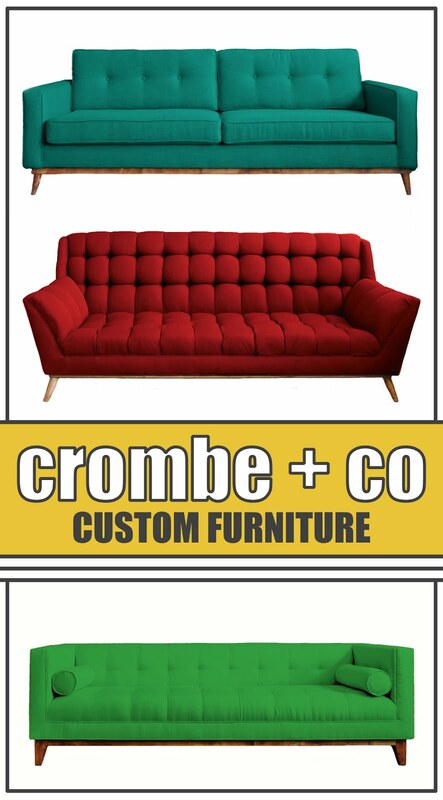 I did a little research and found a few options for UNDER $150 that work perfectly for small apartments. I stongly considered purchasing a folding treadmill that I could store under the bed. 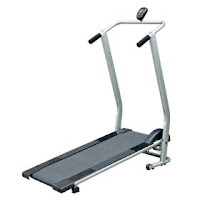 Unfortunately, all the folding models under $300 are manual and shorter than regular treadmills. If you're up for a challenge in your run, this could be a good choice for you. You can find mini versions of your favorite machines (steppers, ellipticals, bikes) that take up less then 2 square feet so they're easy to store in a closet and light enough to move around as needed. Most come with arm resistance bands to help you tone your upper body as well. 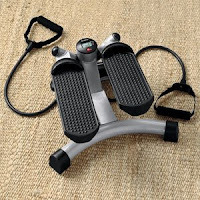 I tried the Aerobic Twisting Stepper from Brookstone ($100; pictured left). The twisting action really works your inner thighs. I hear the mini bikes are great for work-a-holics...you can use them while sitting at your desk! If you decide that you can't live without your full-size treadmill but you still don't like the way it looks in your living room, try using a room divider to block off your equipment. The Dignitet curtain system from Ikea is cheap and effective. The curtain wires can run straight, at angles, or make corners, allowing you to configure your curtain to fit your space. You can also try using screens or bookcases to hide your workout gear when needed. 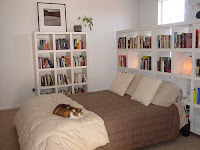 I like the way Flikr user From the Trenches uses bookcases to mask her treadmill behind the bed...clever!